This fine vineyard was founded in 1847 and is run since in the same family for six generations. It is very nicely located 4 km south-west of Gaillac on the socalled « Premières côtes (Superior Hillside) » of this appellation (AOP Gaillac). Our wines are elaborated in the spirit of natural wines and biodynamic agriculture respecting nature and its biodiversity, leading to excellent vines of highest quality. Welccome to the Domaine de La Ramaye. We present on this side the key information in English. For any further inquiry please contact us. Our wines are elaborated in the spirit of natural wines. That means that there are no chemical entrants whatsoever except a tiny quantity of sulfur when the grapes have been harvested just before fermentation (we talk about 1-2 g maximum per hectoliter). The bottling is done manually after a light filtering (paper board) in order to eliminate the deposit. We are only using used french oak barrels and cement barrels for aging. 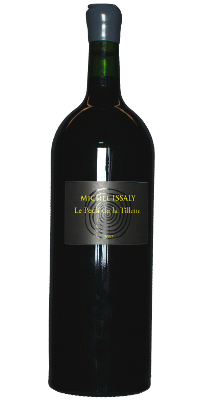 Michel Issaly, a 6th generation winemaker; married no children, was born on 01/04/1961. Michel has managed the vineyard, succeeding his father, since 1996 and was the president of the Vignerons Independants de France (independent wine makers (vintners) of France) between 2008 and 2014. Nicolas Jourdan, aerospace engineer, married, no children, was born on 01/03/1967. Nicolas plans to connect the vineyard to his Airbus network in nearby Toulouse. He intends to use his engineering knowledge in order to enhance wine production, look for and implement new innovation in this field and manage the company together with Michel. He is currently undertaking training as BPREA (French vine growing and wine making diploma) which is due to complete in 2017. The vineyard was founded in 1847 and is run since in the same family for six generations. It is very nicely located 4 km south-west of Gaillac on the so-called « Premières côtes (Superior Hillside) » of this appellation (AOP Gaillac). It size comprises currently 6 hectares of vines planted mostly with indigenous varieties: Duras, Braucol, Prunelard, Mauzac, Ondenc and L’oin de l’oeil as well as some smaller amount of Merlot and Syrah (Shiraz). The grapes are, on average, 40 years old (between 1 and 75 years). All parcels of land are in close proximity to each other. We are very proud of the fact that we are certified HVE (French government label: Haute Valeur Environnemental - good environmental value) which guarantees a high performance with regard to eco-friendly treatment of its environment, and includes its conversion into an organic enterprise by the end of 2017. Gaillac is one of the oldest wine growing areas (vignoble) in France. The wine culture was brought to France by the Phoenicians around 400 BC. It developed in 3 main regions: the la Côte-Rotie, l’Hermitage, and Gaillac regions. In this region its presence and usage to produce wine has been confirmed on the archeosite of Montans, a small village near Gaillac. Here, the remains of a pottery from the 3rd century BC were found. It appears that the pottery was dedicated to making large amphorae to store and transport wine. Gaillac is known for its varieties of grapes, historically there were 24 different ones. 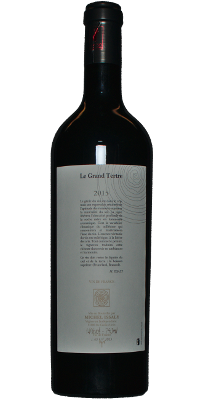 As a consequence Gaillac is able to produce any kind of wine, from the Primeur (nouveau), to easy-drinking reds and whites, and red suitable for storage up to 15 years. 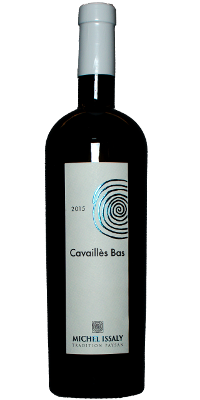 Also available are sweet whites and some sherry-like dry white wines, aged up to 11 years, in barrels. Thank you! We take your inquiry serious. Please allow us up to 3 working days to respond. At 4 km west of Gaillac in direction of Montauban. At the roundabout immediately turn right to pass at the right hand side of the little church and ) drive for another 800m et follow the signs.